I was trying the isometric studio in the latest beta, in an effort to use it as e replacement for a real "Free transform" tool and ... well ... it does not cut it ! It is hard to use and with a result very far from precise enough to replace a real free transform and distort of an object. So, I'm trying to rise this question again - when do we get a real "Free transform" tool in Designer (both vector and pixel) ? Since basically every other tool on the market including Illustrator and even the now dead Fireworks has it, I guess it is not that hard to implement, for vectors at least. You're absolutely right. This software promises a lot but then has its legs cut off because there are several things missing to make it really a great softawre to the point that many of us have to go back to using Adobe Illustrator if we need to work with the free transform tool. I think it's really absurd not to listen to what users have been asking for for a long time as they support you and encourage you to improve more and more. Honestly, I'm not interested in iPad versions (which I bought) or versions for publication (like InDesign). I have the impression that they waste of effort and creates a lot of software that is not 100% complete. I think they should first complete one and then switch to the other. So I add myself to the appeal: when will you insert this blessed function? Or is the alternative back to Illustrator? I too have loved Designer. I bought it and have begun creating the illustrations for what I hope will be my first book ever. I have been a Photoshop and Illustrator user since the early 1990's. I had so much hope for Designer, but then ran into the same issue of no "Free Transform" option. You can only scale, stretch, skew, and rotate. With no option to make a selection change "perspective", a massive requirement for me is missing! Affinity, please get this implemented as soon as possible, since I am willing to go 100% Affinity products of you can get a few much needed features like this added. Thanks. i really dont understand one thing. there are few things, that are making this software a jewel on the market. On the other hand, long-term long-asked features and bugs, that are making professionals move away from it. Why? Such stupid thing like free transform. or broken expand stroke. years here. Rotating, scaling group of nodes, its finally here! Hurray. after years asking. Still, you better develop in meantime version for ipad. I guess, this is the way Serif set their business priorities. We can cry and pray, but things are not going to change unless Serif change plans. They try to make money and if a version for iPad will earn them more money in less time, iPad app wins in the priorities list. We can't really do anything about it. This the way modern business models work. To be fair, I bought both applications as soon as they dropped and have used them extensively and look forward to publisher too. The improvement over two years is startling considering they have not required a paid update yet! Don't get me wrong. I understand that Affinity has done some amazing work in just a few years. Adobe has been at it for nearly 30 years. The point I guess I'm making is, if Affinity were to ask my opinion (as a user of Adobe software since 1991 and working artist since 1987), is that they should take the input of professionals seriously. A survey of pros would be great. That way, they could prioritize new features and maybe put a nail in Adobe's coffin sooner, rather than later. Not only that. The sooner they add the most coveted features, the sooner pros like me will switch over 100%. AND, I would not mind paying for updates occasionally for a good product. I just HATE paying a subscription to Adobe, or anybody. Then again, their goal may be to pick up the casual user with the iPad app version, and not to win over professional desktop users. I don't know, since I'm not in the meetings. Yup, I also think a voting system for new features would be the most fair way to prioritize what to implement next. But again - free transform is really basic, essential tool, doesn't mentioning it is available even in Affinity Photo, but not in Designer. Rotating, scaling group of nodes, its finally here!﻿ Hurray. after years asking. True, but it misses a Center! That cripples it, because how do you rotate/scale about an arbitrary center now? Posted this here already. Sorry, bit OT. I don't mean to come across like some kind of self-appointed "forum sheriff", but you guys would do well to better explain the specific functionality you desire. You're referring to a proprietary tool in a specific program; Illustrator's so-called Free Transform Tool. No doubt countless skilled users of programs other than Illustrator have no idea what you're talking about as a "real free transform tool." In fact, having spent decades in the Illustrator user forums, I dare say even many, many Illustrator users don't know what it's for, and seldom touch it. It's certainly not among the most commonly used features. When it comes down to it, Illustrator's Free Transform Tool is just another bounding box based scaling tool. As such, its behavior probably could be integrated as a few more keyboard-modified behaviors of Affinity's existing and (sometimes oppressively) omnipresent bounding boxes, rather than as another dedicated toolbox icon. Illustrator's Free Transform Tool is kind of a pre-cursor to more capable envelope-based distortion features that came to most programs later. (And envelope-based distortion—warping, etc.— is on Affinity's roadmap, and none of us, as yet, have any idea how the interface of that will work.) That's why you need to describe or demonstrate the specific functionality you are desiring instead of just invoking the little-understood proprietary name of a program-specific feature. Illustrator's Free Transform Tool is, frankly, also rather poorly implemented. Long time Illustrator forum regulars (including myself) have many times tediously explained to other users (and not just beginners) the tedious sequence of multiple keyboard momentary modifiers required to invoke its faux "perspective" thing ("mousedown then Ctrl-Alt; mousedown then Ctrl-Alt!"). Further tedium stems from its most potential-killing aspect: that its bounding box resets to a rectangle after each and every move of one of its handles . FreeHand's similar tool, for example, didn't do that. It held its transformed shape (like an envelope), so it was much more useful for the most common purposes, like moving each corner of the bounding box to corresponding corners of an obliquely-viewed surface by a series of moves. But my larger point is this: In this thread, some of you associate words like "crippling" with this request. But if there's anything actually debilitating about Affinity transformations at the moment it's that all of its on-page interactive (pointing device driven) transformations are based on dragging the infernal bounding box handles. That's the real issue that needs to be addressed; not just a "me, too" copy of Illustrator's specific treatment of a rather dated and limited bounding box-based warp behavior. This is EXACTLY what I've been talking about! The ability to not only skew, scale, and rotate, but to actually distort to match perspective. Warp would be awesome, too. But, I would love to at least be able to do what you just did in the video. And since Designer does pixels, as well, it should work in both Personas. It is amusing that you are requesting and waiting for this feature that is available in an even cheaper program developed by a company... heard about it? Serif Software. They abandoned it so you could wait all over for similar features for years. It is not supported anymore - but chances are... it will support your workflow. Works like a charm on Windows 10. Works like a charm on Windows 10. But not at all on OSX. So it is not that great to be an Affinity customer with an OS X machine. 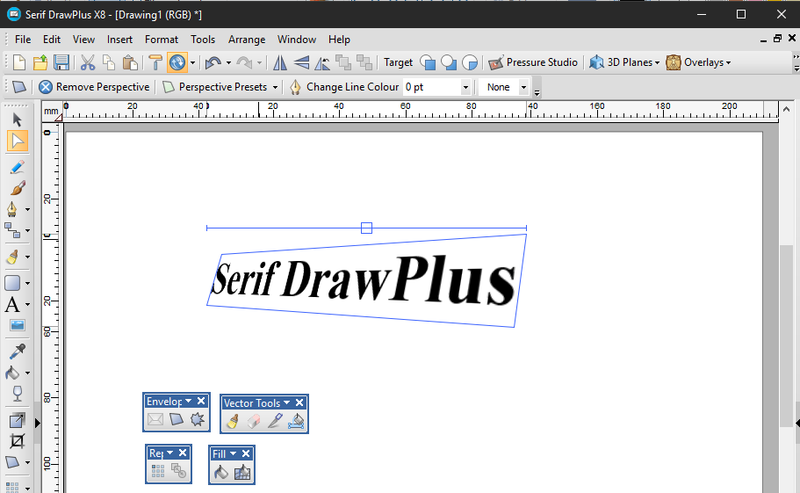 Should I ditch Affinity and go to Serif Drawplus even though it's not supported anymore? Sounds a little scary to go backwards. I trying to figure out if this is even an option for some folks on here. I mean is Drawplus broken in any way? I have now gone completely Adobe-free on my laptops, both home and work. I can't say I miss much at all, because I found their distort tools a bit confusing and unintuitive. If I want to apply perspective or 'box based' distortion, what I do is open up Inkscape (free) and use their perspective tool. It's not ideal, I know, but it's pretty simple to paste my object into Inkscape, draw my container shape, then apply the perspective tool after selecting both. Then I simply copy and paste the result back into Affinity. All I really need in Affinity (for the most part) is to be able to select the bounding box corners individually like in the Fireworks video above, then adjust paths or groups to fit a chosen shape. Yeah more complicated transforms would be great down the road, but this is what I would use regularly. No, sorry, I was just joking. DrawPlus is no longer supported, it works just fine, but some day in the future it wont. I guess it will work for years, but I is a weird situation, is it not? That you have to go back in time to get a decent design program from Serif. I like to draw and design shapes with the pen tool in Affinity Designer. Problem is, the second you fx need to add some perspective to a shape (fx a shape from another project), Affinity Designer is next to useless. Especially if time has any value for you. Serif focused so much on isometric grids they forgot the basics of drawing and workflows.  What I did was to export a shape to SVG and into DrawPlus to finish it there. Then I exported it back to Affinity Designer. It is not unusual for designers to construct shapes outside Adobe Illustrator in other programs so I had tried it before. It is just silly in this case. But it was just me monkeying around in my spare time. They money I spend on Serif software was earned using Adobe Illustrator, InDesign and Photoshop. I am always curious when a newcomer enters the market, but in this case the complex parts of the machinery is only "promised" features on a roadmap - not reality. Serif retired the software that could help you - replaced it with AD that can't for years to come? You can do what I did or what @Checkmate did. Or look for other options. Are you serious? What kind of arguments are those. Everyone here knows the specific functionality we desire. We want warp (or at least free transform, which everyone who's worked in the industry knows how it works) and bugs fixed (like the expand stroke bug that makes strokes completely useless if you need them expanded). "Think bigger. Forget Illustrator." Yeah, i will, once I can get some basic functionality in Designer. Everything you're mentioning there is issues with illustrator's implementation, and while that may be a fair point, I'll take a "rather dated and limited bounding box-based warp behaviour" over nothing any day of the week. I'll take a "rather dated and limited bounding box-based warp behaviour" over nothing any day of the week. Okay. You have one. Continue using Illustrator (or any of several other programs). As for me, I'm looking for something better from a new built-from-the-ground-up program; not just more copycat "me, too" functionality. Again: Warping / enveloping is on the published to-do list. Serif has acknowledged the need and openly stated it is in the plans. So what is all the ranting about? You really think this is just a "who screams the loudest" contest and that improvements to a program automatically jump to the top of the list according to that? No, features often necessarily depend upon a foundation laid by other features, or have to serve as part of the foundation of other planned features; especially when the goal is to dare go beyond conventional wisdom and standard-fare. Moreover, as in any "popularity-driven" scenario, the "majority" quite often gets it wrong when it comes to what's deal-breakingly "most important." Most every pet feature request is couched in those grossly exaggerated terms. Simple mob rule is no way to methodically advance anything. A mere emulation of Illustrator's problematic Free Transform Tool is way down my list. Yes, provision for vector-based warping is pretty standard-fare nowadays. But other things (all routine ordinary on-page transformations presently being bounding box dependent in the first place) are far more fundamentally important in that they form a usability foundation for the whole program. We have been promised that if Microsoft breaks anything in a Windows update, Serif will patch any ‘legacy’ applications that they are still selling. At the time of writing, PagePlus, PhotoPlus and DrawPlus are still available for purchase. Rule #2: Get the right tool for todays tasks... today. @AlfredI did not know that - that is good news. PagePlus X9 offers great value for money and DrawPlus X8 too. And now back to creating and billing surrounded by professionals.